It’s well known that given the choice of changing something about their home, most would opt to add some more space to their property. Whatever the purpose of the addition, for sleeping, living or storage space, adding a new room or space to a home can transform its use and also its value. At Berry Construction, this is our area of specialism. Once you’re settled, moving house to create more living or storage space isn’t always an option. With family and work commitments moving house can be a stressful process and causes a great deal of upheaval. In this respect, a conversion is a more straight forward approach to adding some space to your property, without needing to up roots. 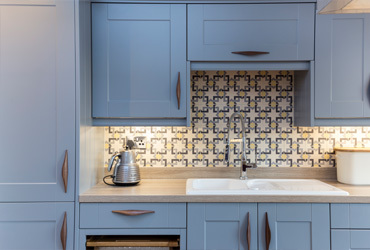 What’s more, should you decide to move property later in life at a more opportune moment, then a well realised conversion can add significant value to your home. Within the South London and Surrey area, space is at a premium because of the cost of land and property. 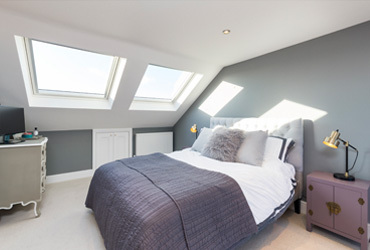 Building outwards is a complicated option because of this, but with a frequently unused space within many properties a loft conversion can offer the chance to build upwards rather than outwards, meaning that the external appearance of the house needn’t change. For those looking into undergoing a loft conversion, there are several important factors which need some weighing up. Especially for those in listing buildings or in conservation areas, understanding what’s required to get your project up and running is important. Through using an experienced team like that at Berry Construction you can more easily work your way through the different elements that are required and understand what changes your able legally to implement. For families which are growing, or have plans to, it’s likely that your home will need to grow along side. The provision of extra space through creating addition bedrooms or social space, or just for storage means that your family can grow comfortably and a loft conversion is an easy way to introduce this space into your house without having to undergo significant building work. It is becoming increasingly common for homeowners to be working at home, with freelance and flexible working hours and location becoming a more frequent phenomenon amongst professionals. This can place a different emphasis on many domestic spaces, with working and living space both needing to be found within a building. As such, a loft conversion offers the chance to create a separate working space which has a sense of separation from the rest of the building, offering a practical and comfortable space to work and again adding value to a property. As well as interior work in loft spaces, roof spaces are another chance to optimise the living space of your property. Each option is contingent on the amount of space available and on planning regulation, but adding extra bedrooms or en suites a smart way of using the space and also offers the chance to have a live in tenant. Don’t be deterred by concerns that your ceiling might not have the height for conversion. There are still alternatives either to use the space differently or find alternatives in order to best use your square footage. A great storage space for example, could be smartly designed to incorporate items from other areas of your house to free space elsewhere. With our experienced team, we’re able to offer a fresh and inventive perspective. 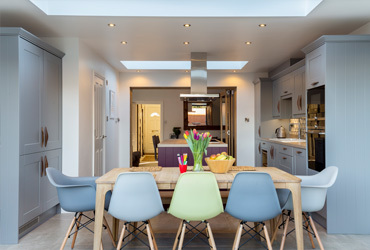 At Berry Construction, we’re specialists in our field and have worked on numerous and varied loft conversion developments across Surbiton and surrounding the area. We’re proud of the quality of our work and of the reputation that we’ve earned for our dependability and results. To learn about how you can make the most of your space, whatever the purpose, why not get in touch with our team today.